Please welcome our newest contributors, "The Wine Wednesday Group". The Stonefront came under new ownership about a year and a half ago and we liked what we found there on this, our first visit since. Wait staff was very welcoming and friendly. It was immediately noticeable how clean this bar is and the bathroom was immaculate too. Happy hour is from 3-6 with $3 well drinks, $2.75 domestic and $3.25 micro brews with 1/2 price Artichoke Cream Cheese Mozzarella Garlic Bread, Potato Skins, and BBQ Chicken Quesadilla. Drinks were swiftly delivered and we were very pleased to note the quality of the maraschino cherries in appearance and flavor, a solid pour too, which is great for a happy hour drink! We all ordered the quesadilla and were thrilled with the crunchy texture of raw cabbage and the rich flavors of the chicken with cilantro and BBQ sauce. The Stonefront has one of the only non-smoking outdoor patios in Salem (other than Venti’s & Thompson's) and the fire ring looked very inviting for night time gatherings. We will definitely be back for more! P.S. 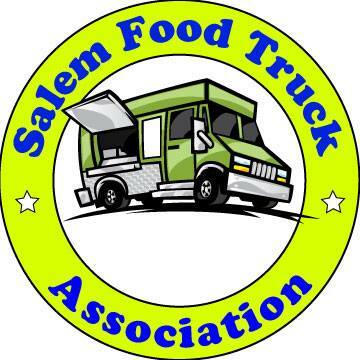 Share in a comment what you know and help us to create a list of all the smoke free outdoor seating in Salem. The Oregon Crepe Cafe has covered outdoor seating that is smoke free. We're next to Gamberettis. We also have a waterbowl for your four-footed friends.